The left wing is a mirror image of the right wing... so I won't explain the whole process again. 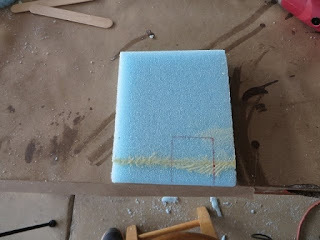 Instead, I'll just post a few pictures and talk about a few things. 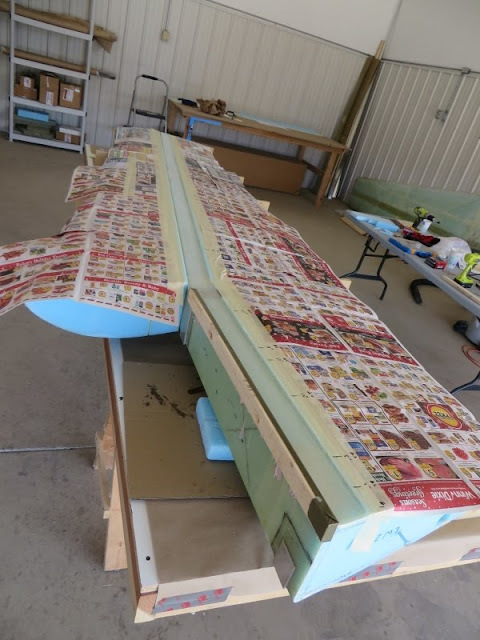 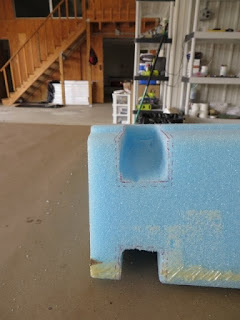 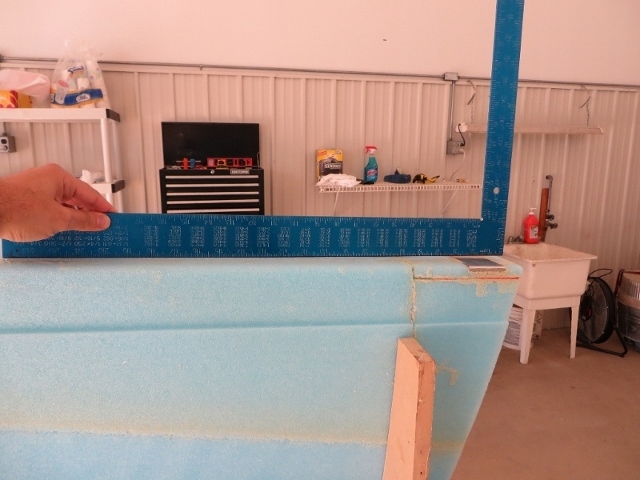 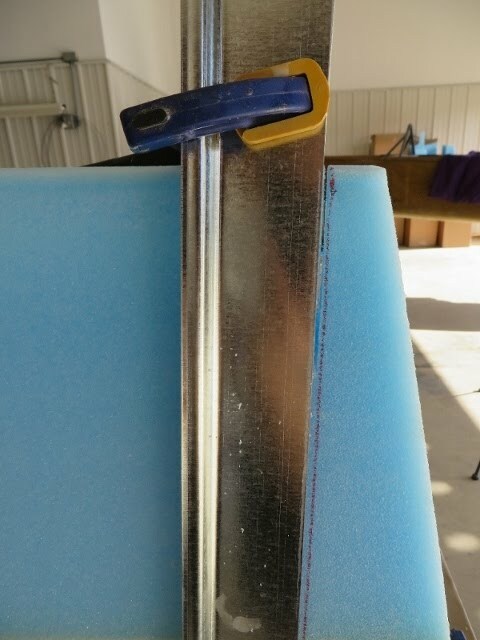 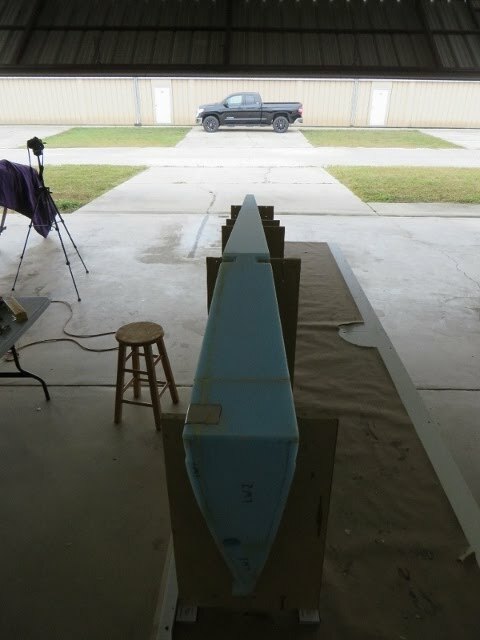 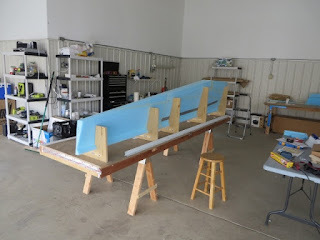 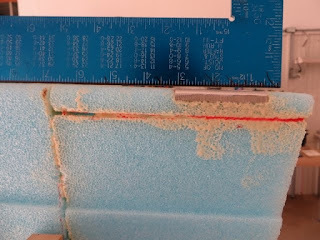 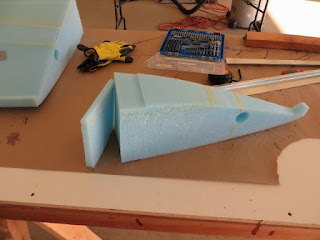 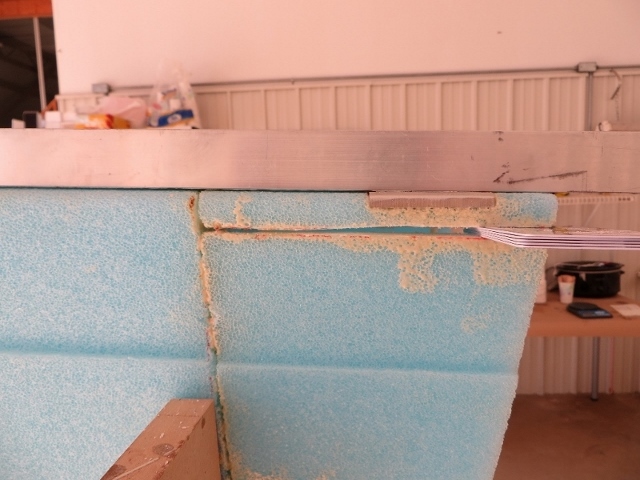 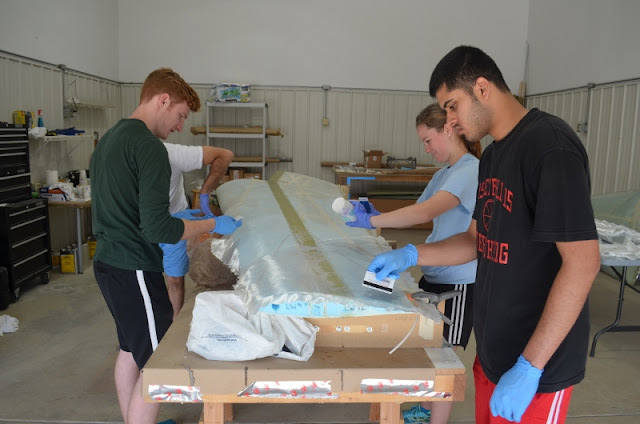 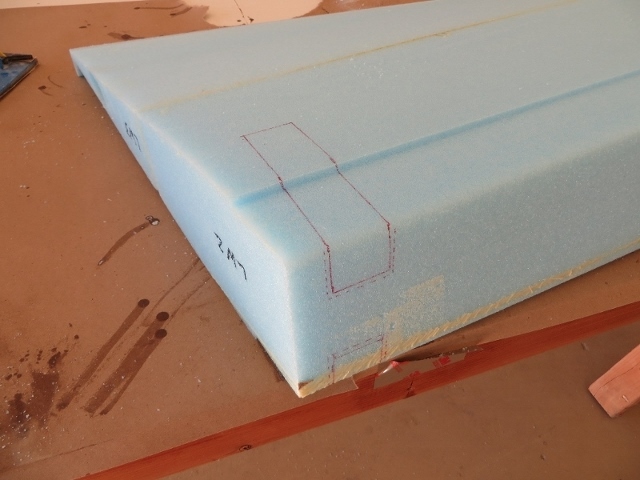 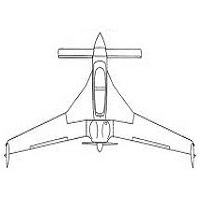 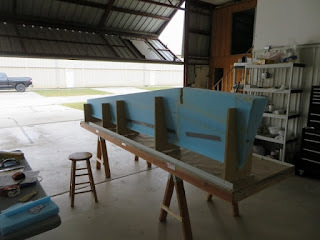 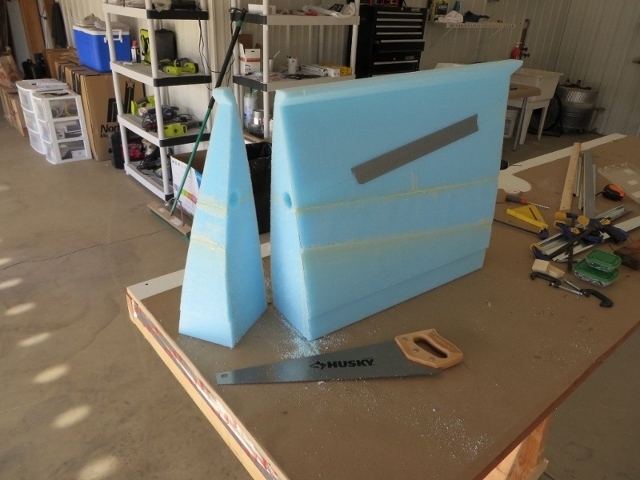 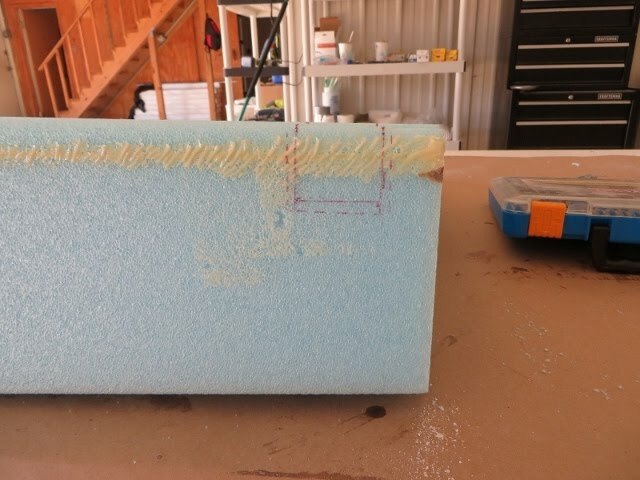 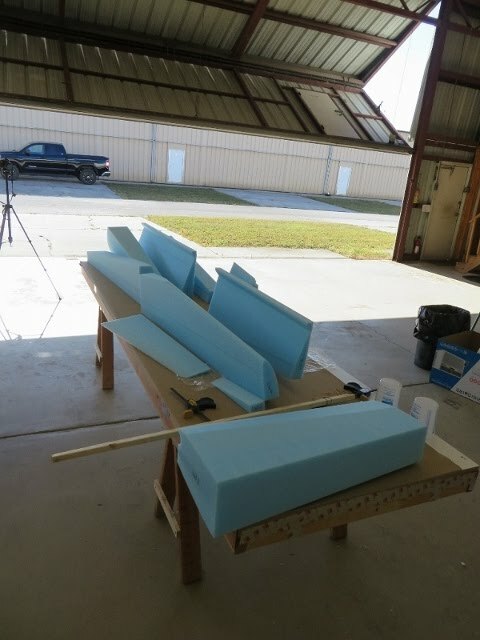 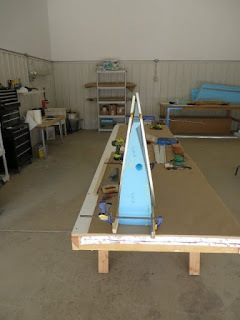 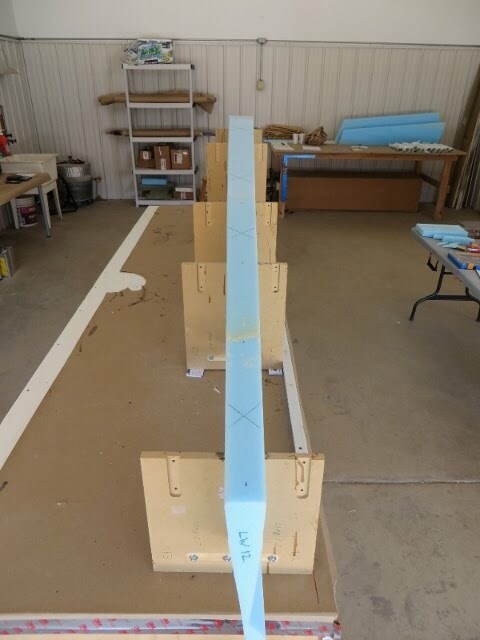 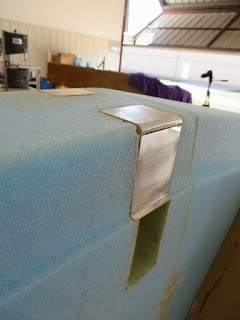 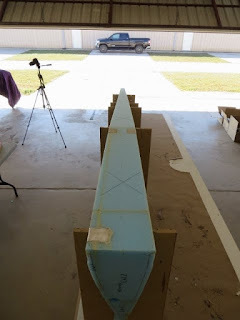 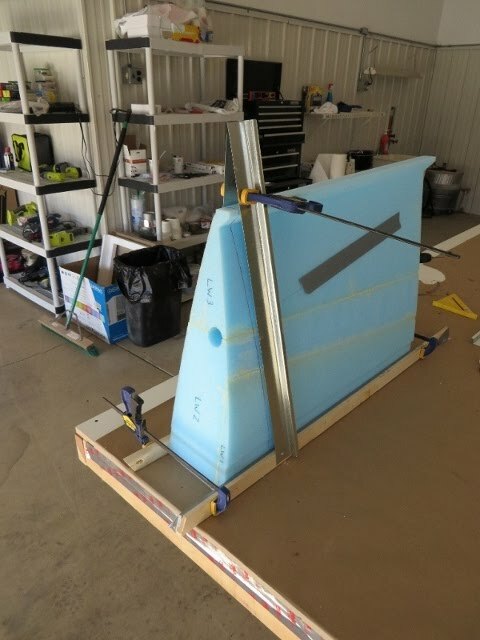 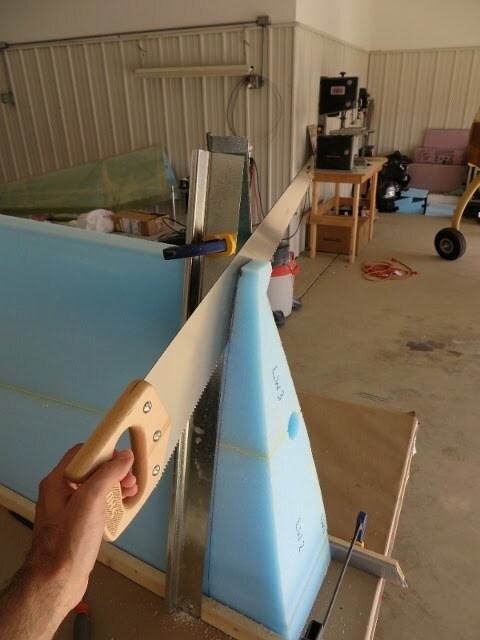 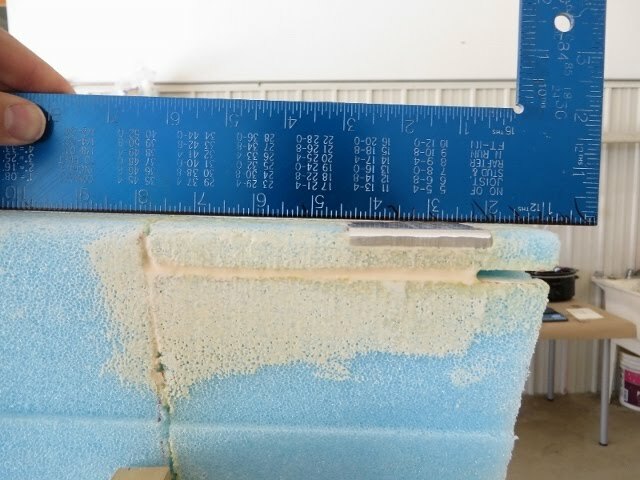 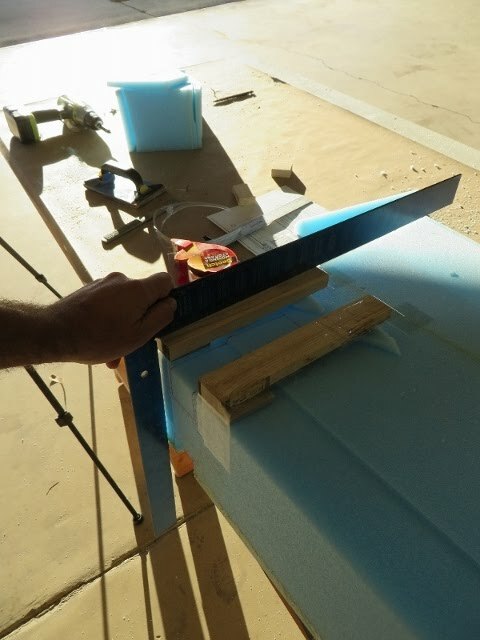 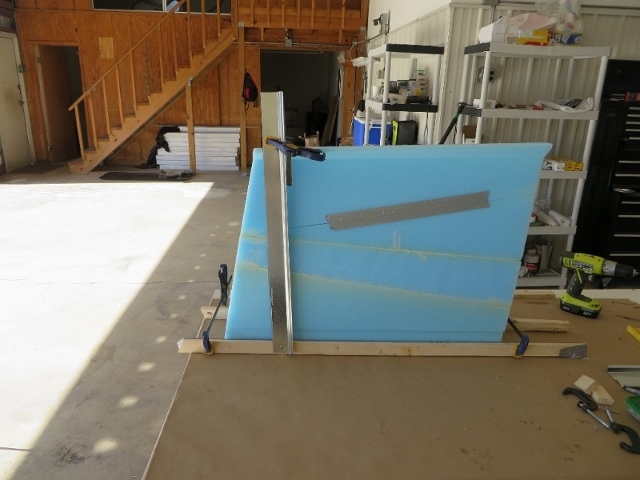 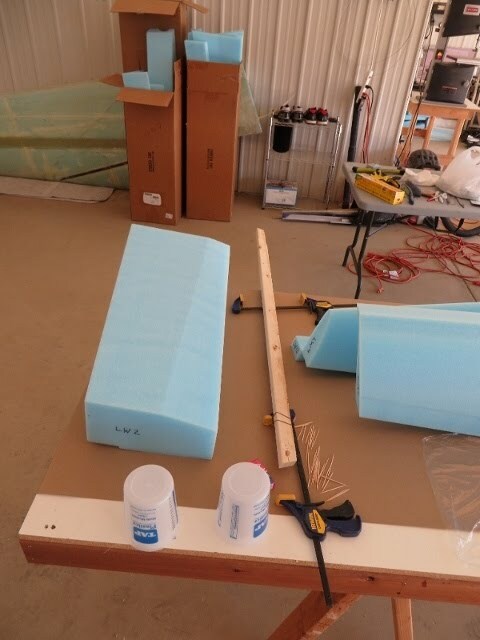 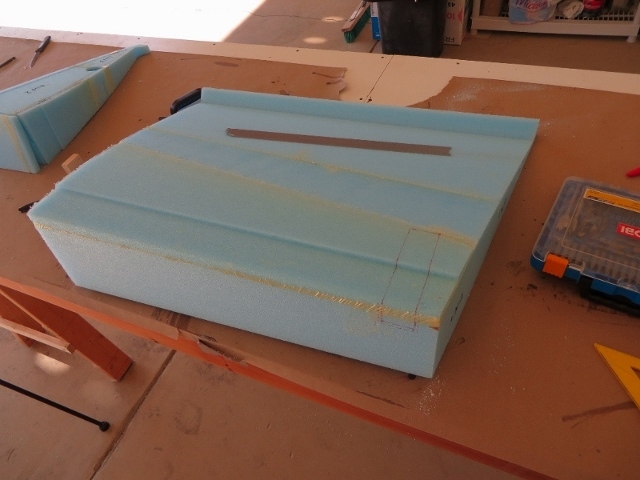 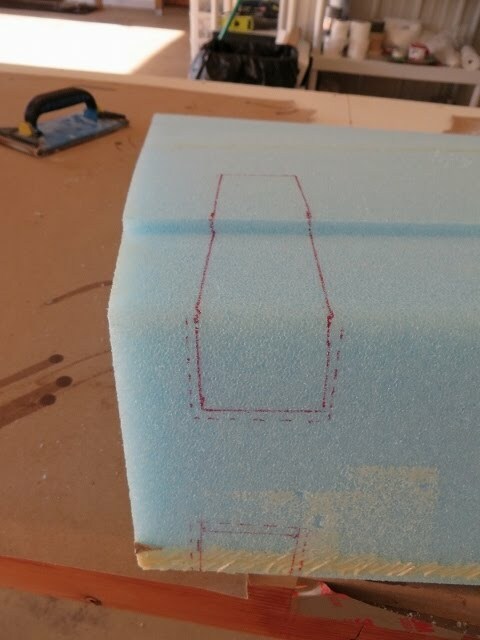 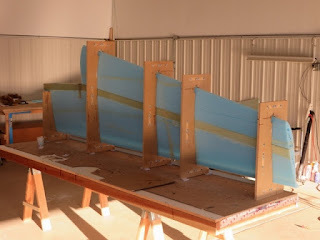 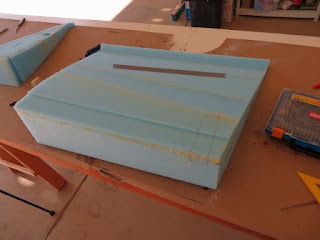 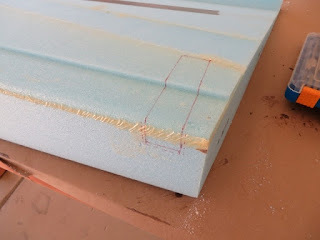 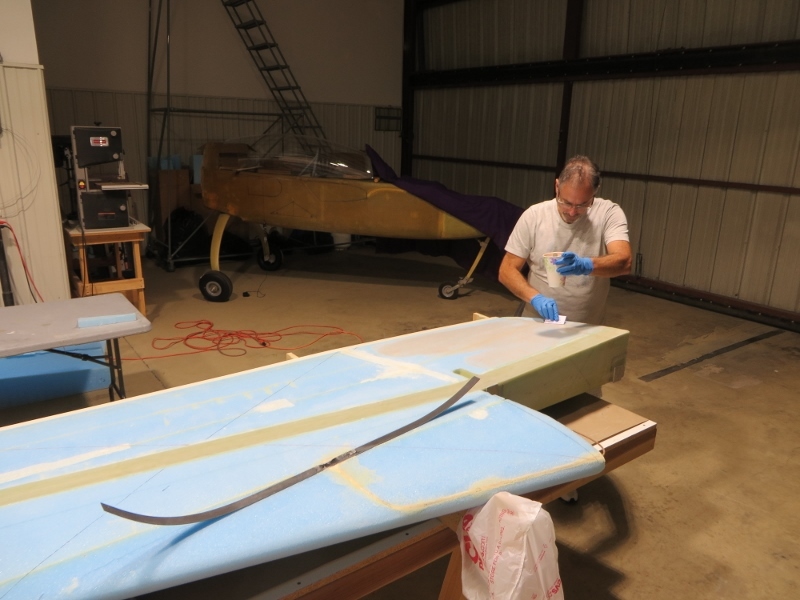 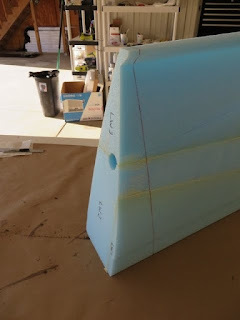 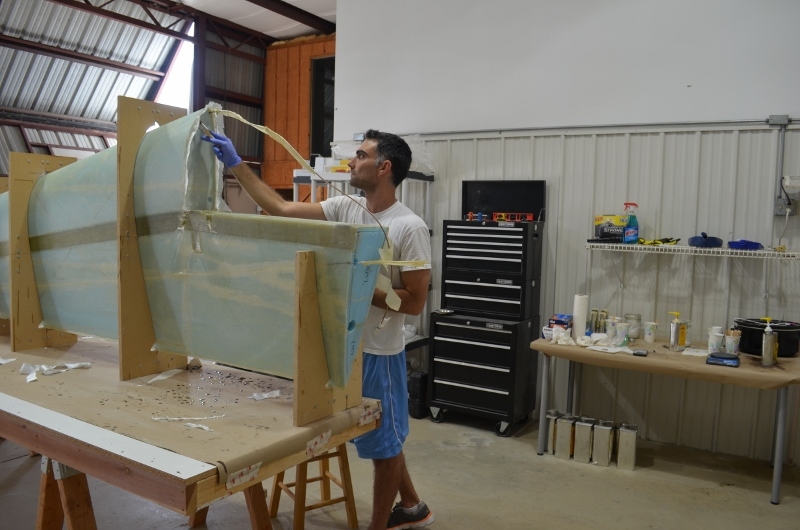 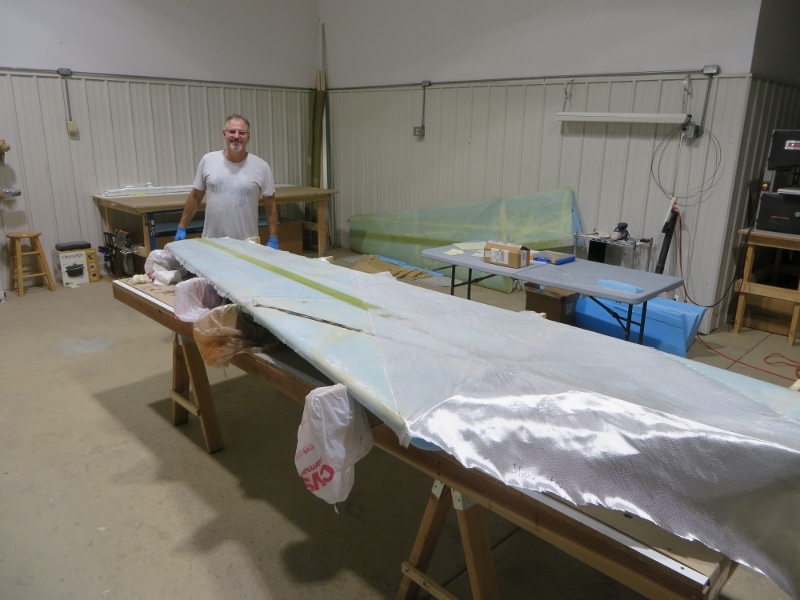 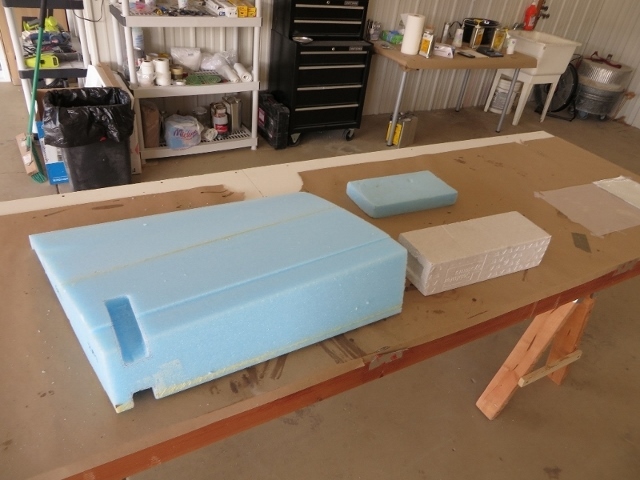 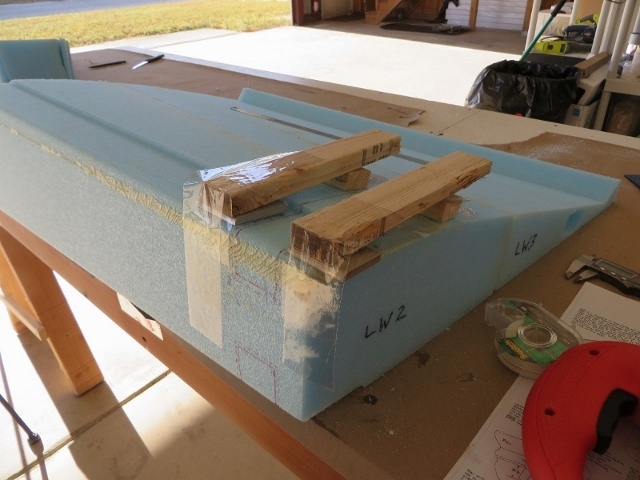 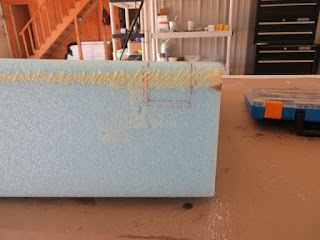 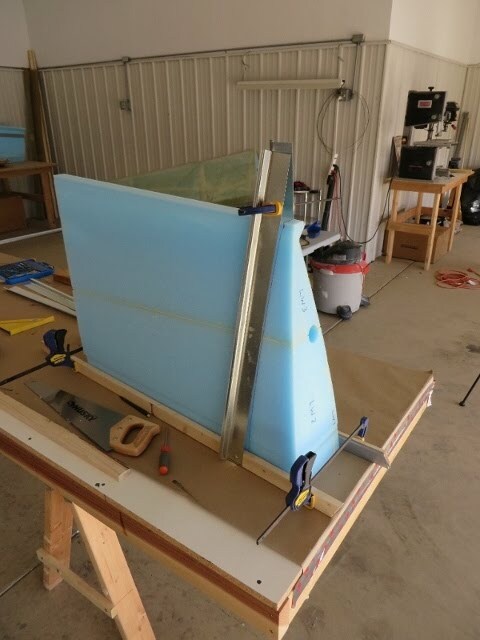 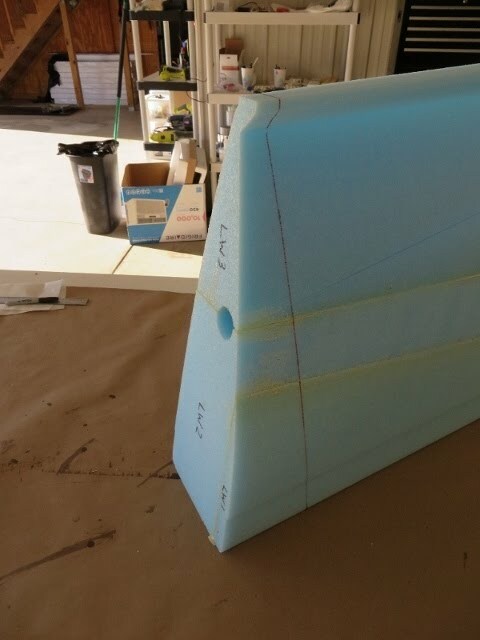 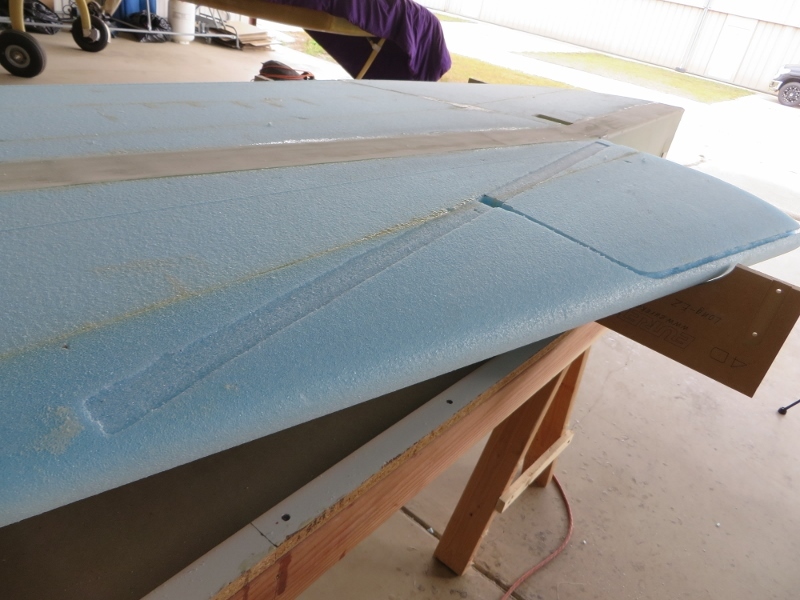 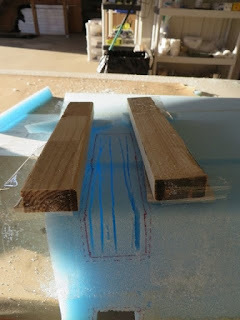 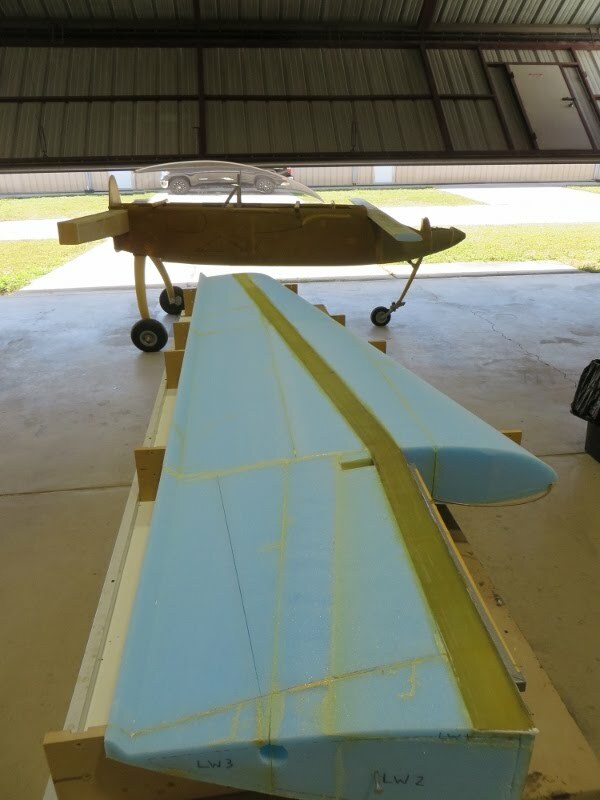 If you are interested in the "how-to's", look at my previous posts of my starboard wing. 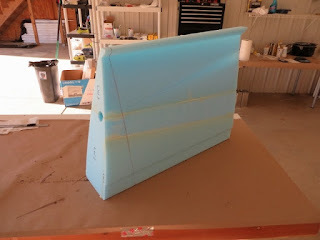 Ready for the shear web..
Shearweb complete and leading edge bonded on... ready for the bottom spar cap! Trimming up and cleaning up all edges post cure... left wing "complete"!